The site, at the edge of Lake Lagunita, is an unusual one: formerly a parking lot, it is surrounded by a dense forested landscape of California oaks. The building’s design takes advantage of this site condition by inverting the program, placing the large public spaces including dining, classroom and lounges on the second floor, where they take full advantage of the spectacular view. These surmount the administration, conference, and back-of-house facilities on the ground floor. One approaches the 18,000 square foot building via a gently curving, sloping boardwalk, which gradually leaves the ground and delivers one to a “front porch” and lobby space. 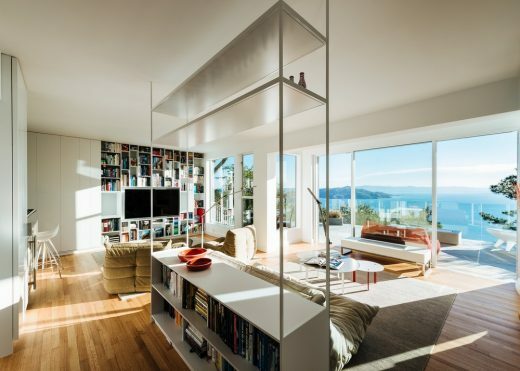 From here, the sequence is further attenuated with a gracious stair, which one slowly ascends, gradually revealing the expansive view, until now totally hidden. A gently sloping ceiling rises above the stair, opening the facade towards the lake, creating a continuous flowing space that moves from intimate to grand. 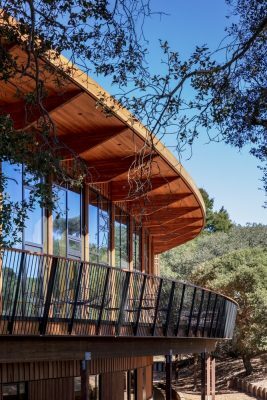 The major spaces here are arrayed along a shallow arcing façade, giving onto a continuous deck along the lake. A gift from Roberta Bowman Denning, former chair of Stanford’s Arts Advisory Board, and Steven A. Denning, former chair of Stanford’s board of trustees, made the building possible. 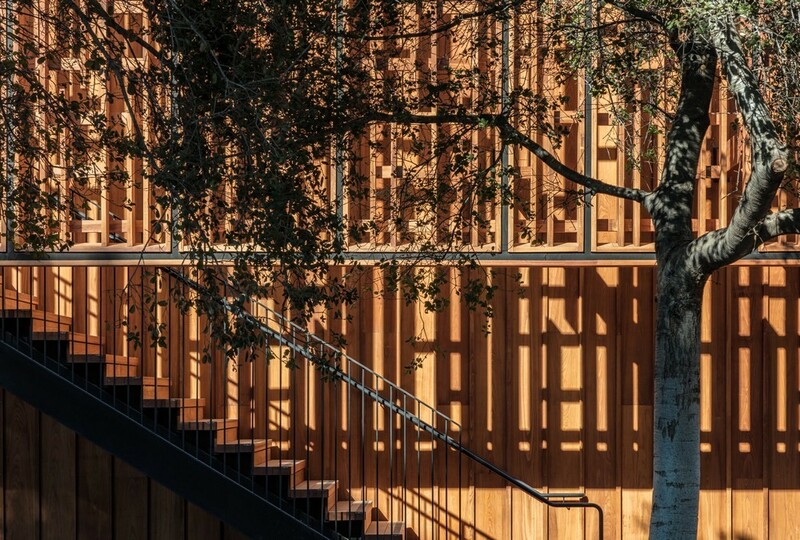 As the arts are integral component of the Knight-Hennessy Scholars experience, Denning House has selected works by acclaimed contemporary artists displayed outside and throughout the building, including Ursula von Rydingsvard’s large-scale sculptural installation MOCNA, located on the north side of the building. 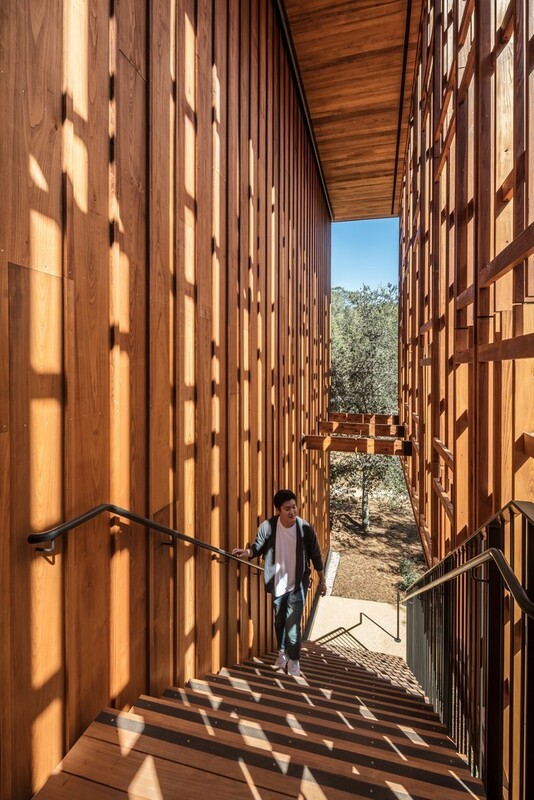 Denning House reflects the Knight-Hennessy mission to effect large-scale positive impact in the world by integrating sustainable design strategies throughout the building. 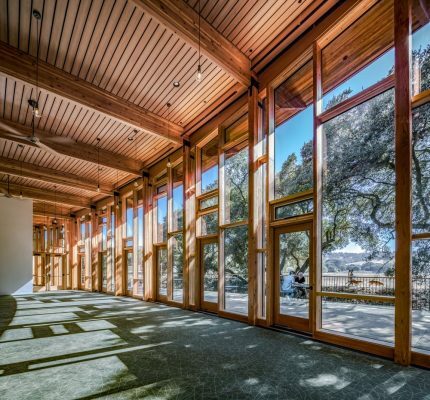 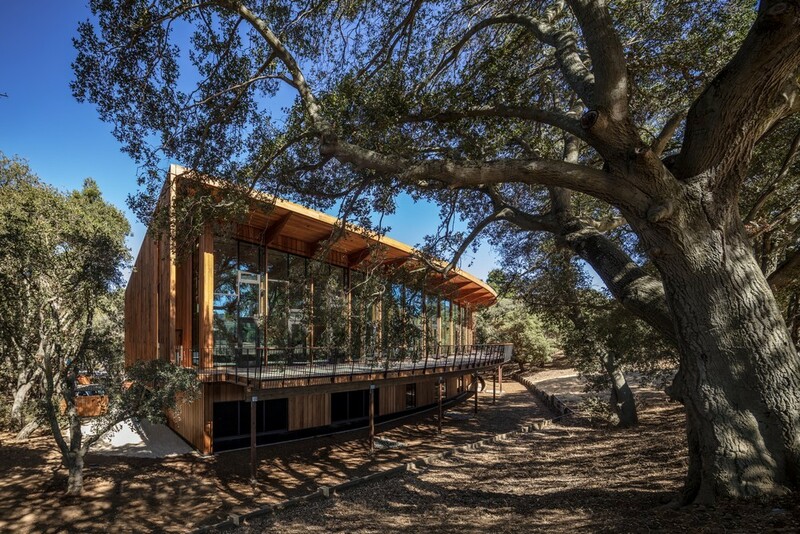 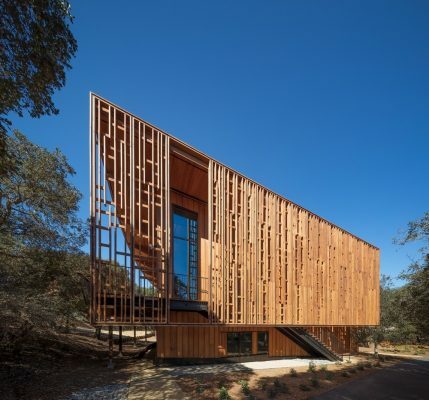 Nestled within a mature grove of live oak trees, the building form employs recessed footings to conserve and intensify native vegetation, restoring the habitat. A natural ventilation strategy is implemented on the upper floor to reduce the building’s carbon footprint and maximize both energy effectiveness and user-comfort. 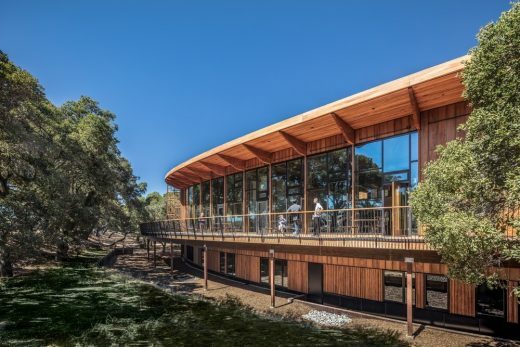 Acknowledging the site as a major bird habitat, bird-friendly glass spans across on the south-side of the building along the deck to minimize bird collisions and improve solar performance. 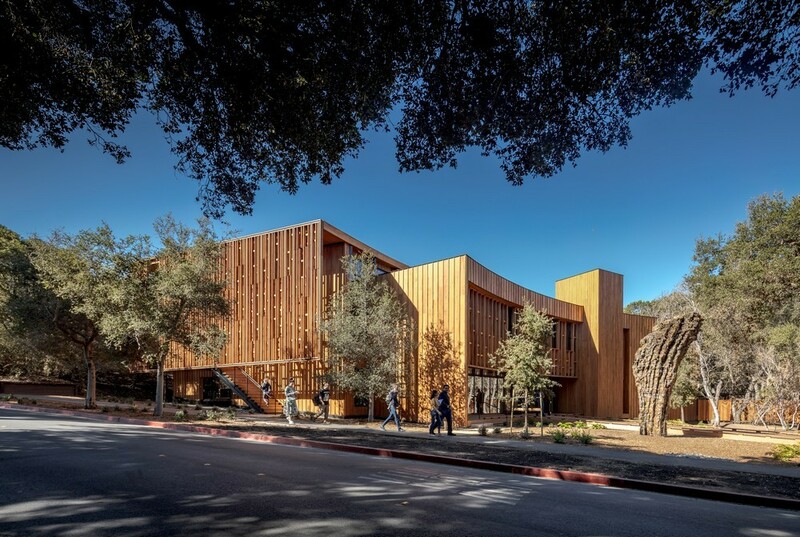 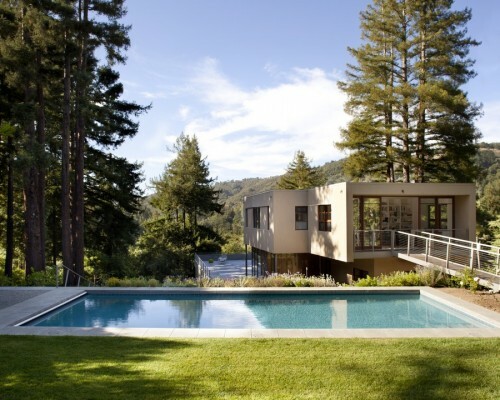 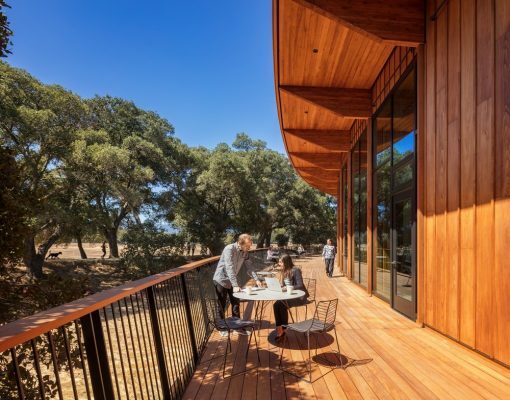 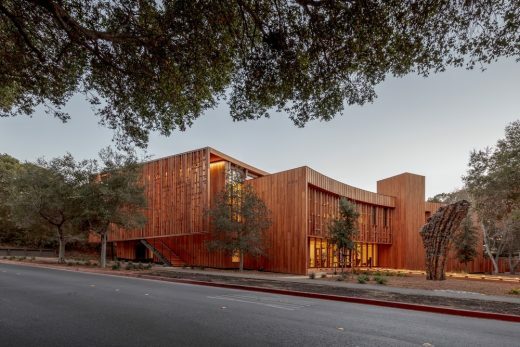 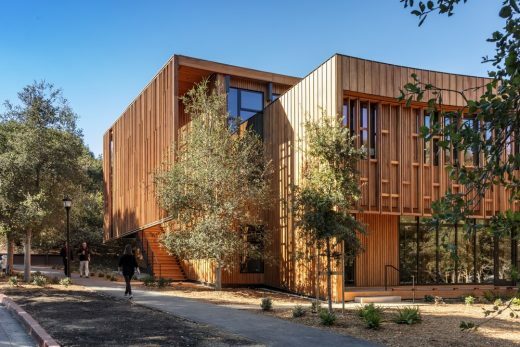 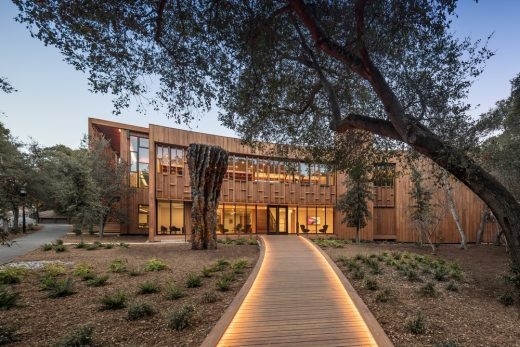 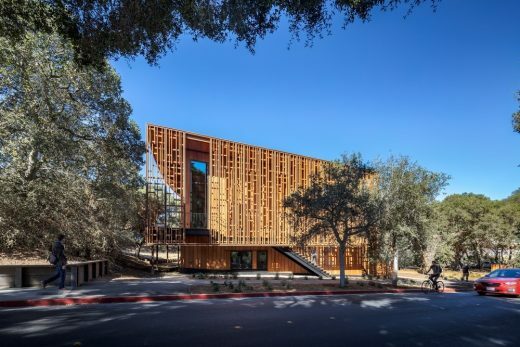 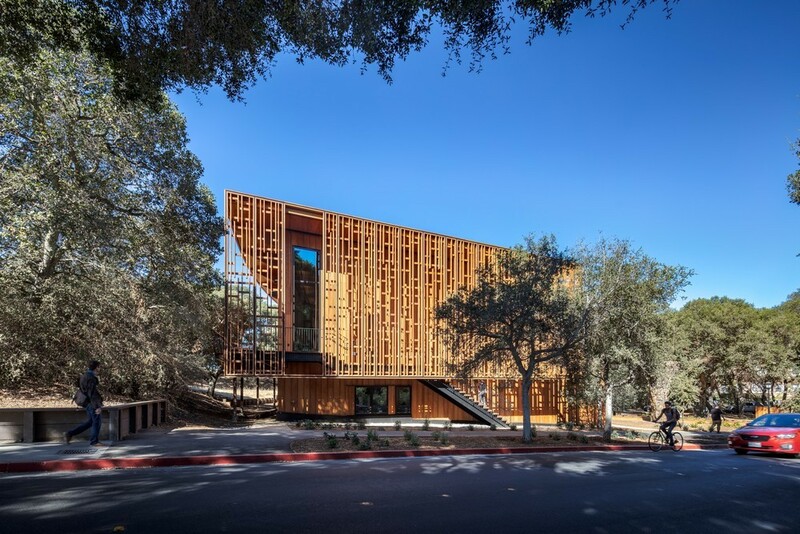 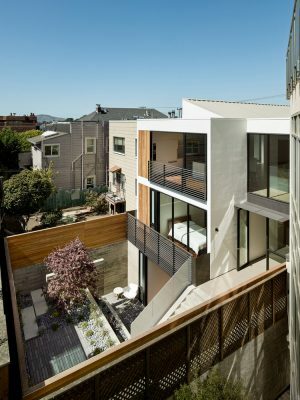 Denning House is the sixth project that Ennead has completed on the Stanford campus, where the firm has been working since 1994. Ennead’s work on campus includes: the Anderson Collection; Bing Concert Hall; the Iris and B. Gerald Cantor Center for Visual Arts; Denning House; Stanford Law School William H. Neukom Building; Stanford Law School Crown Hall; as well as the forthcoming Stanford Chemistry, Engineering and Medicine for Human Health (ChEM-H) and Wu Tsai Neurosciences Institute; and Bass Biology Building.